Jeff is our lead building inspector and owner of the business, so when you call you know you’re speaking to the man who will be inspecting your next home. 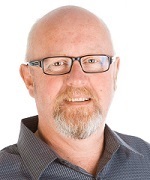 As a Licensed Building Practitioner Jeff has over 30 years of experience in the building industry, and is a member of the New Zealand Institute of Building Inspectors (NZIBI). Jeff grew up in Palmerston North, and knows the region well. If you’ve had a builders report from NZ House Surveys before you will know Jeff conducts all of his inspections with Jody, the second house inspector. Jody has a keen eye for detail both when inspecting on site and when putting together your report. Jody is also responsible for scheduling inspections and managing customer queries. Call our team today on (06) 354 9194 or 027 222 4328 to book your next building inspection. NZ House Surveys Manawatu & Horowhenua has been operating in the region since 2007, and are well known in the area for offering thorough pre-purchase home inspections and methamphetamine testing to home buyers. If you’re looking for black & white advice on your next house purchase, then you’ve come to the right place. We can also offer full weather-tightness reports including thermal imaging, as we have a qualified level one thermographer onsite. NZ House Surveys Manawatu & Horowhenua can offer you pre-purchase house inspection reports, new home reports, Moisture & weather tightness reports, methamphetamine testing and third party reports. We service Palmerston North, Feilding, Sanson, Halcombe, Ashhurst, Pohangina, Linton, Himatangi, Foxton, Foxton Beach, Waitarere, Levin, Ohau, Tokomaru, Shannon, Opiki, Bunnythorpe, Rongotea, Woodville, Dannevirke, and Tangimoana. Call our team on (06) 354 9194 to book your home inspection today. "Jeff and the Team provided a prompt service and comprehensive report for our prospective property buy. The report detail lead us to steer clear on this occasion, potentially saving us years of grief and hardship. There is no doubt that we will be calling on Jeff and his Team again for our next property inspection as our hunt continues." H&F, Rangitikei. "Jeff Twigge is, in my experience, the best property inspector in the region. We've used his Silver building reports in a number of occasions much to the regret of REA's and vendors. We always demand the naked truth to make the best informed decision when it comes to the structural and legal condition of a property we're interested in, not a superficial, cheap and cheerful builders report. Jeff and his team leave no stone unturned and no council record/permit/blueprint unchecked. Their building reports are clear, complete, and - above all - thorough." Virginia. W.
"The NZ House Survey's Silver Reports have saved us from buying a number of wrecks with cowboy or illegal renovations. In my opinion Jeff is without a doubt the best building inspector in the region. He knows his trade and the people around it (very important). He leaves no stone unturned, no council record unchecked, no invisible moisture ingress unnoticed, and no detail unrecorded. Mention his name to any REA in town and notice how they suddenly begin to disclose information they somehow failed to mention to you prior to the building inspection. He's also very generous with his time. The NZ House Surveys team are friendly, professional, and very easy to deal with." Virginia. W.
"Jeff and his team provide a lot of help to us. They are very professional and generous." Grace. G.
"First class service from start to finish. As a first home owner I had lots of questions and Jeff and the team were incredibly helpful. I would 100% recommend this service. Thanks NZ House Surveys team" Katy. B. "Jeff recently helped us buy our first home. He gave us plenty of advice over the phone before we even paid for his service. When we finally found our house we paid for a silver building report which was just right for us. The builders report was logical and thorough, without being over the top. It clearly showed which alterations were certified and those that did not require it. Very good for a first home buyer with little knowledge about compliance etc." Hamish. P.